Top 3 PIC Microcontroller C Compilers are listed below with their detailed description. Hello friends, hope you all are fine and having fun in your lives. Today, I am going to share Top 3 PIC C Compiler. We all know about PIC Microcontrollers because of which now we can quite easily add complex automation in our projects. So, today, I am going to share C compilers for PIC Microcontrollers. When an engineer starts working on some engineering project then he must have to choose a microcontroller. PIC is most commonly used Microcontroller in engineering projects. 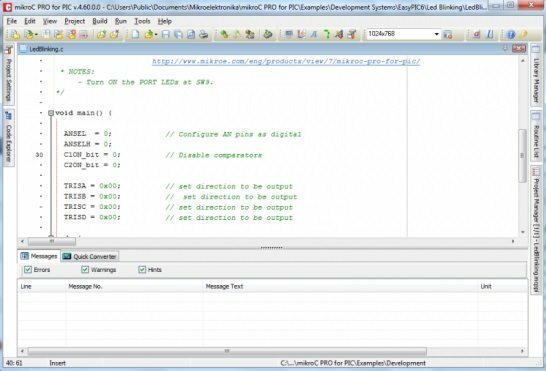 So, now when you have selected that you are gonna use PIC Microcontroller in your project then there comes a need which compiler to use for designing programming code for PIC Microcontroller. It’s quite a difficult as well as important decision because I have seen that once you started working on some compiler then its quite difficult to switch from that compiler to any other compiler. The reason is, you have to first learn that compiler and then you start designing your codes on it and after learning one compiler you don’t want to learn any other compiler. So, today I am going to share a List of PIC C compiler which are quite useful and I consider them the best compilers for PIC Microcontroller. Before going into details, lets first have a look at what is compiler. In the start when microcontrollers were newly introduced, they were programmed in Machine language which is in the form of 0 and 1. We can also call it binary language. So, programming a microcontroller in machine language was quite difficult so designers did some research and they cme up with the idea of assembler. Now in those compilers, we write our code in C Language and then these compilers convert those C Language codes into machine language and we get our hex file which is then uploaded in any microcontroller like PIC, Atmel, 8051 Microcontroller etc. Using compilers, the programming has become quite easy, we have ready to use libraries in these compilers using which we can do complex to complex tasks in just 2 to 3 lines. Now in different compilers the back end generated machine code is almost same but the front end C coding syntax is quite different. For example if you are working on LCD then it has different commands for printing in different compilers. So, that’s why I mentioned earlier that if you are working in one compiler then switching to another compiler is quite difficult as in that case you first have to learn the syntax of that second compiler. There are lots of C Compilers available in market using which we can quite easily write our programming code. For different microcontrollers there are different compilers and today, I am going to share compilers for PIC Microcontroller. So let’s get started with it. MPLAB C18 compiler comes at top in the list of top 3 PIC C Compiler as its the best one in the series. 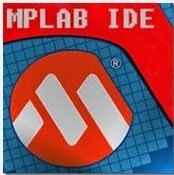 MPLAB is an official software developed by Microchip for PIC Microcontroller. It is free to use and you can download it from official site of Microchip. First of all, you need to install the MPLAB software so you should read How to install MPLAB software in Windows. Once you installed the MPLAB software, then you should install the MPLAB C18 Compiler so you should read How to Install MPLAB C18 Compiler in Windows. In MPLAB you can work on assembly language as well but using the C18 compiler you can write your code in C Language. MPLAB is the most flexible compiler for PIC Microcontroller as you can do anything in it with you PIC Microcontroller. But its a bit difficult to learn and program as in MPLAB you have to set every bit on your own. When I started my programming career, then I first started working on this compiler as I like it the most. So, if you want complete grip on your project then this is the compiler for you. If you are interested in working on this compiler then you should also read Getting started with MPLAB software. MikroC Pro for PIC comes at second place in my list of top 3 PIC C Compiler. Its not free but has a student version using which you can compile your up to some limit. If the size of you code exceeds that limit then you can’t compile your code using it. Its also one of my favorite compiler because of its easiness and user friendly environment. MikroC has a long list of built in libraries using which you can quite easily perform your tasks. Its not much flexible but is very user friendly, it gives you all the setting in hand and you can set them just by clicking some combo boxes. These days, I am working on this compiler because its easy to use and you have a great team at its back which gives you great support. So, if you ask me then I will recommend this PIC C Compiler. Speed Control of DC Motor using PIC Microcontroller. Receive SMS with SIM900 & PIC Microcontroller. CCS Compiler comes at third place in PIC C Compiler list. I have used it in some projects where there was a restriction to use this compiler. Its a bit difficult to learn and program because of its pure C style syntax but also has a great list of libraries with it. If you have already worked on C Compiler for windows then I think this one is best for you as the syntax is almost similar and you can learn it easily. That’s all for top 3 PIC C Compiler. I hope you have learn something out of it. Let me know if you have any comments and I will reply you. My name is AbdelSalam Hamid. I am desperately looking for CCS compiler free versionfor for PIC 18. May be you could help me. The problem that i am not stuident and i have been working as software Development. I think CCS compiler is good . I think that my library is set to work with this compiler.